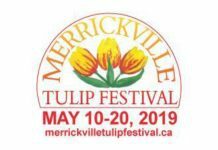 Merrickville-Wolford will be alive with colour, music and events at the Merrickville Tulip Festival from May 10 to 20. 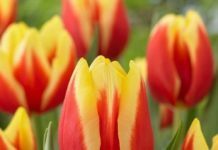 The Lions Club of Merrickville is hosting the Merrickville Tulip Festival, celebrating Spring and the connection with the Netherlands, the tulip, and Dutch culture in partnership with the Ottawa Canadian Tulip Festival as a Friendship Tulip site. In addition to 2,600 beautiful tulips that will be in bloom, there will be sights, sounds and tastes to explore in Merrickville-Wolford during the Festival. There will be paper tulip-making workshops at the Merrickville-Wolford Public Library, in partnership with Communities in Bloom. Children are invited to come out and make a paper tulip for their Mom. 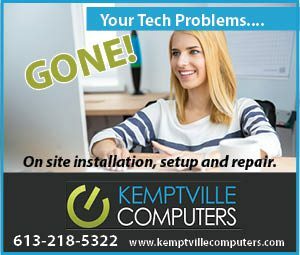 Go to the Merrickville Library for details. 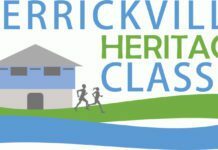 Drystone Canada’s workshop, “Bringing Dry Stone Wall Building Back to Merrickville”, takes place on May 11-12 at 311 Main Street West. Public viewing will take place at the Lions Club campground. A Dutch Dance Workshop will take place on Saturday, May 11 and 18, 1-2:30 pm at the Anglican church, This is an inter-generational workshop. Both couples and individuals are welcome. Instuctors Nico Hilferink and Maki Kabayama have travelled around the world teaching international dance workshops. Most recently, Maki was in Yokohama, Japan, teaching an international dance program. The International Dance Ensemble headlined the Ottawa Tulip Festival in 1977 at Major’s Hill Park. They opened an international dance studio in downtown Ottawa in 1979. Nico, a Dutchman himself, built a reputation as guest instructor of Romanian and international dances. Nico and Maki look forward to sharing lively Dutch dances with the participants. The North Grenville Concert Choir’s production of “Now is the Month Of May(ing)” will be happening on Saturday, May 11, at 7:30 pm at Merrickville United Arts Centre (MUAC). This concert celebrates renaissance time madrigals! 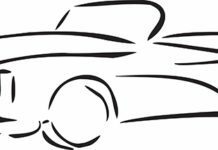 A local favorite is the Legion Dinner and Dance every Friday night, which will take place May 10 and 17 during the festival. Dinner is at 6 pm and the dance starts 7 pm. Cruise the craft tables, watch artisans build a dry stone wall, listen to music, and taste “homemade” Dutch “Speculaas” cookies and Dutch chocolates at the Festival. On May 18 and 19, Theatre Night In Merickville will reprise last Fall’s delightful one-act play, Time Flies, by David Ives. In this zany comedy, directed by Connie Coleman, two mayflies on a date realize that they have a mere twenty-four hours to live. They decide that they must seize life completely… if only they knew how. Shannon Mclellan and Michael Phillips are the mayflies; Vic Suthren plays famous TV naturalist Sir David Attenborough. Partake in the craft beer/wine tasting with live music which will be at the Balldachin Ballroom Saturday, May 18, from 12-6 pm. The 4 Way Street trio will be performing from 12:30-2:45 pm, reprising the greatest hits of Crosby, Stills, Nash and Young. At 3:15 pm, The Ken Seeley Trio, featuring Brian Asselin on saxophone, Iyono Ede providing vocals, and Ken Seeley on electric bass, will take the stage. This is Ottawa’s premier group, playing music with a funky splash of Old School, Soul and R&B. The Trio performs songs by artists like Luther Vandross, Stevie Wonder, Michael Jackson, Bruno Mars, Earth Wind and Fire, and Janet Jackson among many others, guaranteed to keep you up and dancing. Once you hear them, you’ll understand why they are so in demand. Saturday evening finds the Swing/Ballroom Dance with Big Band SRO. Doors open at 7:30 pm. Dutch folk dance showcase – 8 pm, dance – 8:30 pm. Sunday afternoon from 12:30-2:30 pm, the Legion will have the Continentals band playing a popular variety of music from country to pop. The Anglican church will be hosting the final event of the festival at 3 pm. Off the Grid, a local favorite, will amaze and entertain you with their original and unique original songs. 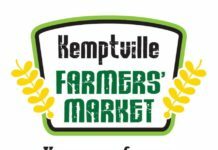 For full event information and tickets go to: www.merrickvilletulipfestival.ca.